Language in performance reviews often conforms to gender stereotypes that result in women and men being put on different career paths, with men being favored for leadership positions. Despite many CEOs’ intentions to prioritize gender equality, McKinsey & Co.’s 2015 Women in the Workplace study revealed only one-third of employees surveyed believe gender diversity is a top priority for their direct manager. 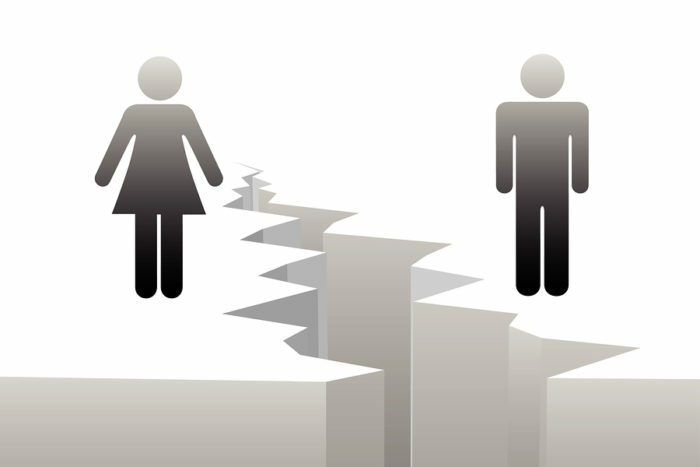 What’s more, the study stated that while 70% of men view gender diversity as important, only 12% believe women have fewer opportunities for advancement, and 13% of men see gender diversity programs as a hurdle to their own advancement. Before assuming these statistics represent overtly sexist test subjects, consider: We are all subject to subconscious biases. Harvard social psychologist Mahzarin Banaji has dedicated her life’s research to better understanding our unconscious biases by coming up with a series of Implicit Association Tests. Through this testing, she concluded that even respondents who claim to hold egalitarian beliefs still demonstrate biases in their answers. This is due to our brain’s natural tendency to make connections and place people into groups based on preconceived stereotypes. While analyzing performance reviews, Stanford University’s Claymen Institute for Gender Research found the language used for both genders conforms to stereotypes of women being more adept in supporting roles and men being more independent. While women were given constructive feedback for using communication perceived as aggressive, they were also found to be “supportive,” “collaborative” and “helpful” more often than men. Meanwhile, men were twice as likely to receive feedback based on their technical expertise. 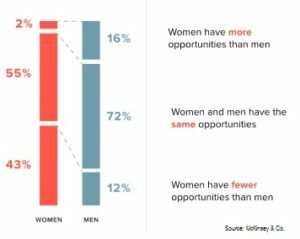 These assumptions result in women and men being put on different career paths, with men being favored for leadership positions. There is also a “Meritocracy Paradox.” Even though all of us want to believe we judge on the basis of merit, studies show that isn’t so. In one study, repeated several times, women consistently received smaller bonuses than their male counterparts. Help managers to confront implicit biases. Diversity training is a great idea if given effectively. Many managers tend to see it as a formality. The tricky part about implicit bias is most people assume they’re not at risk of discriminating against their employees. But they must understand that we’re all subject to unconscious stereotyping if they’re to overcome it. Be conscious of language used. Once managers have accepted the possibility of unconscious bias, give them tools to deliver feedback fairly and effectively. For example, address managers’ tendency to give women feedback based on judgments rather than facts. Teach managers to stick to facts and behaviors when giving constructive feedback. It’s also essential they give the other person a chance to respond, enabling a more balanced view of the situation. They should avoid using adjectives like: abrasive, bossy or emotional. Use verbs and nouns over adjectives to help ensure feedback is objective. Bring more people into the review process with 360-degree reviews. Having more people in the review process gives a more complete picture of an employee’s performance and helps to identify and prevent bias. Allowing employees to seek feedback from other sources can also encourage new female hires to seek out more senior-level women for guidance on professional development, encouragement and advice. Have a mechanism in place for employees to give anonymous feedback to managers. This will help managers correct unintended biases. For example, in the Women in the Workplace study, the women surveyed reported they were less likely to be consulted on important decisions than their male counterparts. If female employees have the opportunity to point out possible unintentional biases, managers will have the opportunity to identify and correct their behavior. Help employees to easily track past feedback. Easy access to performance data allows employees to track progress and compare feedback received, making it easier to report when they are not receiving equal access to promotions or development opportunities. 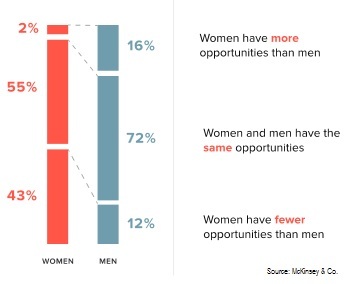 Companies can use this data to identify managers who are blocking women from advancing. Employees also can easily demonstrate when they have alerted their manager to a situation, and they didn’t act to remedy the situation.